Australasian food manufacturing specialist, Wiley, welcomes the announcement of a new initiative to boost global opportunities for food producing, food processing and value-adding businesses in southern Queensland. 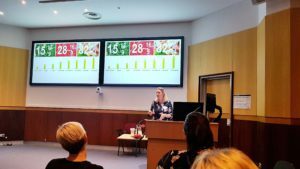 Food Leaders Australia (FLA) is the inspiration of Toowoomba and Surat Basin Enterprise in consultation with the University of Southern Queensland and will be officially launched soon. FLA has been developed to position the Toowoomba region as a competitive and viable food-hub and to assist Australian-based and operated businesses get export-ready and access export markets to grow their overall business capability. 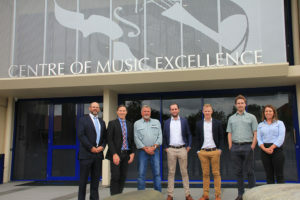 The development coincides with Wiley’s own capability expansion, opening an office in Toowoomba earlier this year after a decade of involvement in the region. It is the fifth office for Wiley with others located in Brisbane (head office), Kuala Lumpur, Melbourne and Sydney. Wiley managing director Tom Wiley said the FLA purpose of strengthening agribusinesses’ capability reflected its own determination to see the industry innovate, grow and prosper. 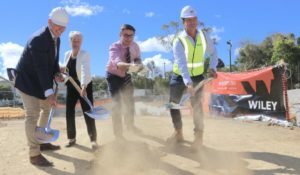 “The Toowoomba region is rife with possibilities which makes it an exciting time to live, work or invest here, particularly for people and businesses in the agribusiness sector,” he said. “There are many emerging, innovative and growing operations and Wiley decided it was the right time to strengthen our local presence so we could be more responsive to their needs. “Working in the innovation space like we do we know how important it is for businesses to have easy access to the latest market knowledge, global-inspired ideas and construction-smarts so they’re equipped for opportunities like new export markets in Asia,” he said. Aside from food manufacturing, Wiley delivers infrastructure and civil works projects using its multi-disciplinary technical team to provide clients with direct access to people with proven experience across design, engineering, construction, project management and stakeholder engagement.